We’d love your help. 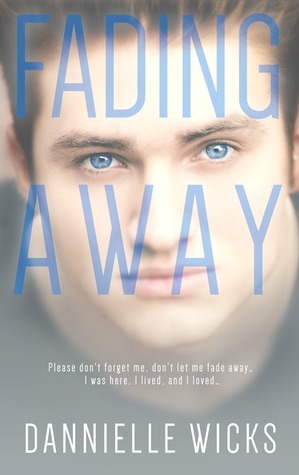 Let us know what’s wrong with this preview of Fading Away by Dannielle Wicks. SAMMY STEVENS was tragically orphaned at the age of nine and sent to live with a foster family in the town of Miakoda Falls. She's bullied at school by the arrogant, selfish, one and only... KAI JORDAN. Kai is your typical entitled teen who's on the verge of attending University and having everything he ever wanted handed to One night. Kai is your typical entitled teen who's on the verge of attending University and having everything he ever wanted handed to him. He's suddenly and painfully brought into the world of supernatural. Kai turns to the last person he ever would've expected, Sammy, as he struggles with his new identity and watches the people closest to him move on. And he is forgotten. To ask other readers questions about Fading Away, please sign up. Have you ever read a book without reading the synopsis? I skimmed the first part of the synopsis and agreed to read and review…just think of my surprise when I found out that this had a touch of the supernatural to it. It wasn’t a bad surprise because this story was adorable – it had everything in one – a life lesson, a beautiful love story, a coming of age and beauty. If I was back in school – I would say there were a few parables we could all from in this. I loved Sammy’s character and grew to love Kai – just a sweet story all the way around! Kai is the bad boy in high school who torments others – especially Sammy. Then one night everything changes, Kai gets a lesson on what happens to those who don’t appreciate others. Who better than Sammy to show Kai what life is really about? She is the only one who he can trust and puts his life in her hands. I am quite disappointed. This story had a lot of potential but didn't deliver. IT felt like it was simply told by a 3rd party outsider with no feelings. I don't think i will read the rest of the series. An enjoyable book. I'll never understood how crashing into a tree would later change Kai into a dog. Sammy lives in foster care and is terribly shy. She keeps to herself and doesn't have any friends. Kai, is a rich popular douche bag that is really nasty to Sam. She knows they all whisper about her, but she just plasters a small smile on her face. After attending a lake party, Kai gives in to the taunts and he and his friends out riding around in the forest in his new truck. Swerving to avoid hi An enjoyable book. I'll never understood how crashing into a tree would later change Kai into a dog. I liked the idea for the story line, but execution of putting that idea in a good book making this work was not accomplished. Sammy was a strange girl no friends, I don’t’ know why not she seemed so nice, the love building was not so great, characters were very black and white, good or bad. Cliche's where a guy would be a total A-hole and the main character would still go out on a second date. Or she would be so naive that she didn't realize that's it not normal that you don't have contact with I liked the idea for the story line, but execution of putting that idea in a good book making this work was not accomplished. Sammy was a strange girl no friends, I don’t’ know why not she seemed so nice, the love building was not so great, characters were very black and white, good or bad. Cliche's where a guy would be a total A-hole and the main character would still go out on a second date. Or she would be so naive that she didn't realize that's it not normal that you don't have contact with your boyfriend for a week. I don’t like scenes that make no sense and in this book it happened a couple of times. Story line does not run smoothly. I do like the bookcover a lot. 3.5. Wasn't what I was expecting. I liked the characters and their journey. A sweet romance with some unexpected paranormal elements. Would have liked to have had some explanation as to what happened though. Otherwise, an enjoyable book. An interesting paranormal romance, “Fading Away” plays with a beauty-and-the-beast-type plot in a contemporary college setting. It's been awhile since I've read any paranormal books. This book caught my eye so I decided to read it. I'm so glad I did. I was caught up in the story from the very beginning. 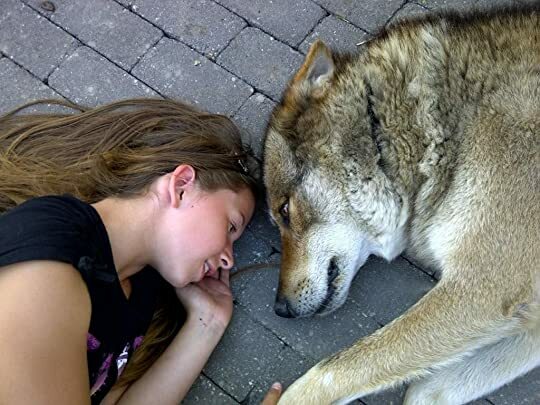 I loved the Kai and Sammy. Their love story was so sweet. This is kind of like a Beauty and the beast type book and really good! I can't wait for the next in the series! Dannielle Wicks is the author of the NA paranormal Hardest Mistakes series, and writer of many more YA books to come! Born in Brisbane, Australia, Dannielle grew up driving race cars at the South Burnett Speedway Club. She has worked as a baker, a book seller, and a retail clerk, among other fun things. She currently works in Information Technology for her local council, flying drones and fixing co Dannielle Wicks is the author of the NA paranormal Hardest Mistakes series, and writer of many more YA books to come! Born in Brisbane, Australia, Dannielle grew up driving race cars at the South Burnett Speedway Club. She has worked as a baker, a book seller, and a retail clerk, among other fun things. She currently works in Information Technology for her local council, flying drones and fixing computers.